It was a . . 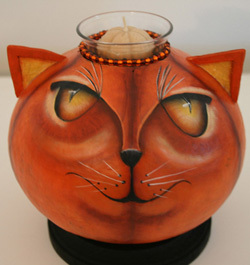 Since I have been busy carving and painting up a few gourds as Jack O Lanterns, I decided my home should be decked out in some fall colors. With the afternoon temps in the 90’s most days it sure doesn’t feel like fall outside, so when you walk in the house the fall colors can remind us that cooler weather is not too far away. A fall greeting by the front door. I purchased the small antique chair at a flea market . 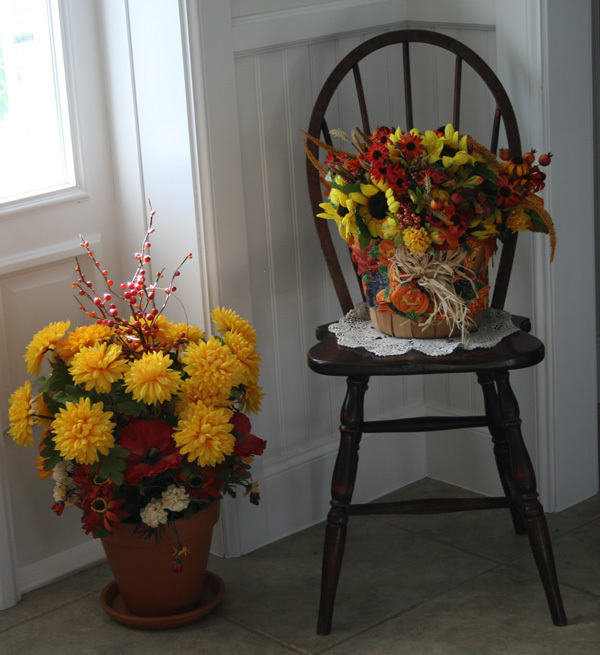 I change what is on the chair every so often depending on the seasons or holidays. 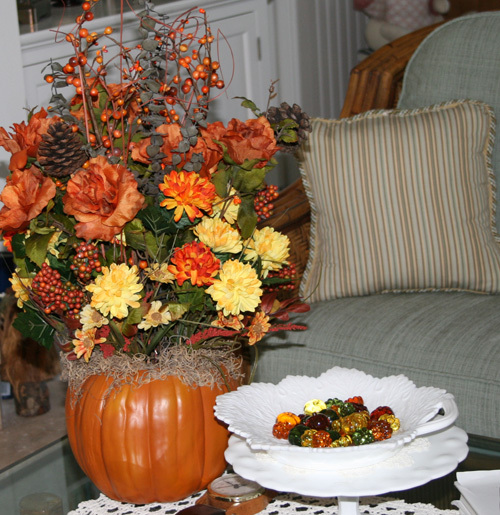 I purchased all of the fall flowers at Michael’s and arranged them in different flower pots and craft pumpkins. 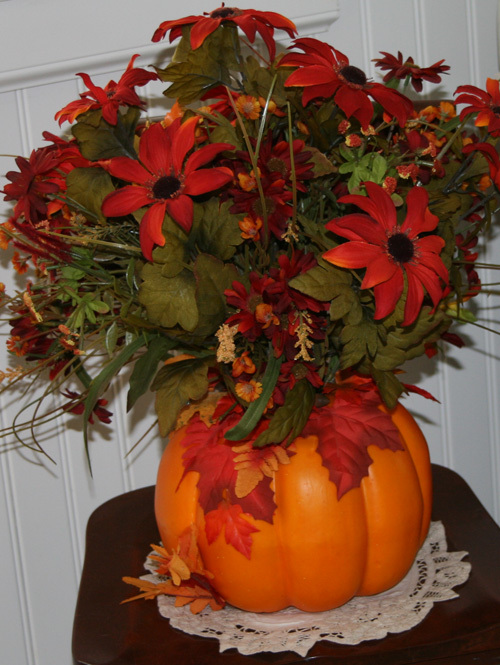 I love the look of the craft pumpkins with the flowers. For the holiday season which is right around the corner. Hard to even think about Halloween with the temps in the 90’s and heat index in the 100’s! 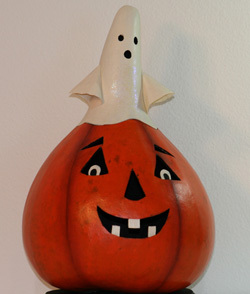 Halloween gourds make so much sense here in Florida. 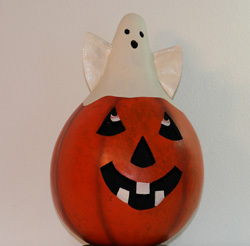 There are no guarantees that October is a cool temperature month and the real pumpkins don’t tolerate the heat so for those of us that are not really keen on the fake pumpkins we see at the craft stores a real gourd is a great alternative !